After spending two straight days in my mother’s kitchen slicing, dicing, basting, and baking in preparation for twenty minutes of feasting (but very delicious feasting), you will hopefully understand why I am not motivated to discuss my latest recipe creation for today’s posting. Yes, sometimes even I need a day out of the kitchen. Of course, I usually spend that day poring over the latest issue of Bon Appetit or watching the Food Network, so I am never completely separated from what I love to do. Today, my post is inspired by two great American traditions that occur this time of year. The first of these is “Black Friday”, or today, the day after Thanksgiving. This is when brave shoppers everywhere, most of whom are still coming out of a turkey and cranberry induced coma, arrive at their local megamall or superstore at 5a.m. to race through the aisles and take advantage of the amazing discounts being offered on the latest version of Tickle Me Elmo or a 96-inch flat screened T.V. The second of these two great traditions creates a similar frenzy, mostly among American women. Some people refer to it as “The Hottest Ticket in Television”, but most know it simply as “Oprah’s Favorite Things.” For those five of you who are not familiar with this phenomenon, allow me to give you a brief rundown. Each year, Oprah Winfrey, who can speak favorably about any product and instantly make it a top seller, airs a show just prior to the official start of the holiday shopping season on which she reveals her “top picks” as gifts to give. There are usually about 20-25 items, ranging in value from a box of her favorite chocolates to, this year, a top of the line LG brand refrigerator that sells for $3500. Each person who is lucky enough to be an audience member during this show, goes home with all of the items that she has promoted. The companies gladly give them away as freebies, knowing what sorts of sales that they can expect from being blessed with Oprah’s blessing. I’ll be the first to admit that I look forward to this show every year, if only to see the reactions of the audience members when they realize that they are part of the “Favorite Things” show (sobbing, screaming, fanning themselves–it really is quite funny). So today, my post is directed at those of you who decided not to risk your lives at the mall this holiday season in exchange for the comfort and safety of the Internet. And in the great tradition of Ms. Winfrey (minus the freebies–sorry, but maybe next year if this really takes off! 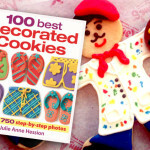 ), I have decided to list “Peanut Butter and Julie’s Favorite Things”, or my top ten picks for holiday gifts for foodies. These are all kitchen or food-related items that I have either come across recently and have on my personal wish list or they are items that I currently own that no cook should be without. Knowing that a second opinion always helps, I have provided a link to the item, usually on Amazon if they carry it, so that you can see what others have to say about it as well. Hopefully, this will help you to cross at least one name off of your holiday shopping list. So, without further ado, here are my “Favorite Things”. I’ll be back tomorrow with a new recipe–Happy shopping! O.K., so the first item actually was on Oprah’s list this year, but this gift merits another endorsement. This was one of my favorite Christmas gifts that I have ever received, and one that I get the most use out of. Every baker should have one of these beautiful appliances sitting on their kitchen counter–almost like a rite of passage. The KitchenAid Mixer has been a coveted gift for years, and they now come in every color of the rainbow. They work great, they last forever, and they ship for free. What more do you need to know? I could probably do a whole listing just of cookbooks that I recommend, but her are my top six for this year: The Foster’s Market Cookbook is the first of three books from Sara Foster, who has been one of my greatest cooking influences. Her food is casual, seasonal, and simple, and the book has great corresponding pictures. The Barefoot Contessa Cookbook is the first of five in her series and the best, in my opinion. 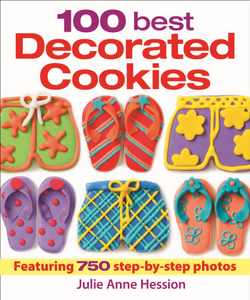 This is another book with great pictures and recipes that you can’t wait to try. My copy is very beaten up! 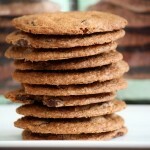 The New Best Recipe is from the publishers of Cooks Illustrated. It is a very large reference-type book with each recipe heavily researched. I learned quite a bit from this book because they take you through the process of why certain methods worked better than others. My Last Supper is a new release that is on my wish list. The recipes are what the most famous chefs in the world said they would prepare if it was their last supper on earth–I thought it was an interesting concept. The Black Dog Cookbook is a book that my brother gave me several years ago after he lived in Martha’s Vineyard, where The Black Dog is located, for the summer. 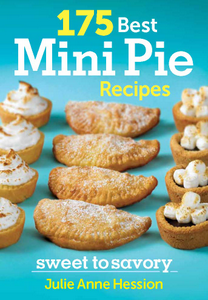 This book has lots of hearty, simple recipes that can easily become standards. The Junior League of Denver has put out some fantastic recipe collections and my mother has been using them for as long as I can remember. My favorite of their cookbooks is Colorado Collage, containing everything from appetizer to dessert recipes, many with a Southwestern theme. This is something that I don’t own, but seeing as I am a competitive person, it has been placed on my wish list after reading about it in a few different food publications. Foodie Fight is a new trivia game that allows serious foodies to strut their culinary stuff. Think of it as Trivial Pursuit for the culinary set. If the topic is about food, then it is fair game for the 1000+ questions. The problem might be getting someone to play with me–my husband didn’t seem too excited about the prospect. The Shun Knife should have its own Ginsu-knife sort of commercial. This knife will cut through anything and makes you life in the kitchen so much easier. It is a bit pricey, so it might make a good gift. A good think to pair with the knife would be a Boos Block cutting board. This is a favorite brand of professional chefs everywhere and has been around since the late 1800’s. Over the past few years, I have been on a hunt for the best extra-virgin olive oil that I can find. I’m not talking about the kind that you pour into the saute pan for cooking, but the kind that stands on its own, that you dip your bread into or that you lightly drizzle over your salad. The best one that I have found so far is Olio Verde Olive Oil, unfiltered, peppery, and slightly green in color. This would be the perfect unique hostess gift for those who appreciate gourmet food products, but who might not splurge on this for themselves. This next gift is one of the best investments that I have made in the past year. On average, I probably use my Calphalon Grill Pan about three time per week. It grills pretty much anything that you would cook on an outdoor grill: chicken, beef, vegetables, fish, etc., but with much less effort involved. It conducts heat evenly, and even gives your food the little grill marks. The real reason why it gets my recommendation is that it is so easy to clean. Everything wipes right off with dish soap and a sponge, which usually is not the case with these types of products. The price is right too. A certain other kitchenwares store sells their model for over $110! For about 10 years now, I have been a loyal user of the Kiehl’s line of personal care products. They smell great, they last forever, and most importantly they work! Last year, Kiehl’s came out with a new pear-scented product line, which included Kiehl’s “Pear Tree Corner” Hand and Body Lotion. As soon as I sampled this delicious smelling lotion in the store, I bought five extra bottles so that I could give them away as gifts . All cooks need a wonderful hand moisturizer like this because working in the kitchen and multiple hand washings can really dry out your skin. For the foodie who is also a movie buff, I have two great film that have plots which revolve around food to recommend. “Big Night” is a film about two Italian bothers trying to run an authentic Italian restaurant in 1950’s New Jersey. It stars Stanley Tucci and Isabella Rosselini and will make you very hungry. “Chocolat”, starring Johnny Depp (my favorite) and Juliette Binoche, is about a drifting French chocolatier, who in 1959 moves to a tranquil village and uses her special intoxicating spiced cocoa to help revive the villagers’ passions. For the budding young chef in your life, motivate them with these two recommendations: Cooking Rocks, from T.V.’s Rachael Ray, is written in her typical fun, simple, 30-minute-meal style. My first cookbook ever was the Better Homes as Gardens Junior Cookbook, which I loved, but every woman in the pictures resembled Donna Reed, so it needed some updating. Their current version, Better Homes and Gardens New Junior Cookbook has kid tested and tasted recipes written to appeal to the 8-12 age group. If you know someone who is more of a wine connoisseur than a foodie, then the following gift ideas are for them. I have this habit (probably bad manners–sorry mom) of flipping over plates and stemware at restaurants if I like them so that I can see what brand they are. Time and time again, the same brand has been showing up on wine glasses, Schott Zwiesel. Their Cabernet and Chardonnay Wine Glasses are delicate, but not to the extent that you are afraid to touch them, and they are designed so that they are so easy to drink out of. The Oxford Companion to Wine is a great wine reference book that is also a great coffee table book. It has been around for years, but it updated frequently. 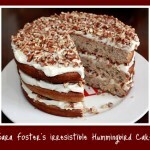 Sara Foster’s Hummingbird Cake and a Cookbook Giveaway! What a fun list! That’s quite an endorsement you made for the Cephalon grill pan–I’m going to click my way over to Amazon to check out this beauty. What an amazing blog! A foodie after my own heart:-) I too have such a passion for food, that I started an olive oil retail company. I would love to hear your opinion. We carry specialty olive oil from all over and olive oil based body products! My skin has never felt better!